Contact us for our current Two and Four Day Backcountry trip schedule, or your preferred trip dates. Our season runs June to September. We have the flexibility to accommodate various trip departure dates throughout summer season. Dates are being added daily. Please contact us for complete availability and other option dates. Rates are $300.00 Canadian per person/per day, plus 5% Goods and Services Tax. A deposit will be taken to secure your reservation at the tim eof booking. Gift certificates are also available. Guests are provided with amenities including home-cooked meals, a horse and saddle, experienced guides, and cabin accommodations. 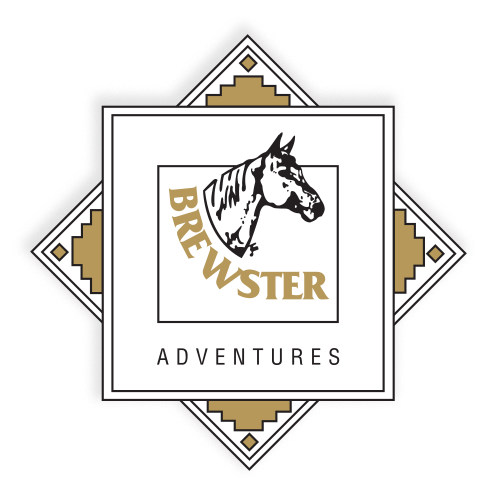 Brewster Adventures takes pride in providing quality food, great service and the backcountry adventure of a lifetime. Other exciting routes are available for longer trips. Please inquire about availability for larger groups and longer trips. Tent accommodations are available for larger groups. Upon booking, a 50% deposit will be taken required. Balance remaining on all trips will be due 30 days prior to ride departure date. If the booking is being made 30 days or less from the date of departure, full prepayment will be required at time of booking. The 50% deposit is fully refundable if a written cancellation notice is received more than 30 days prior to ride departure date. If cancellation is received within 30 days, the 50% deposit will not be refunded. All guests departing on either the two day or four day overnight trips must sign an indemnity waiver before trip departure. The waivers must be witnessed by a Brewster Mountain Pack Trains employee and require your full mailing address and signature. If our guests are under the age of 18 a parent or guardian will also be required to sign along with the Rider that is under age. Please note that all riders must be a minimum of 52” tall and 8 years of age. Riding Helmets are mandatory for persons 17 years and under. There are height and weight restrictions, please inquire.